I moved to Santa Cruz, California, for the Environmental Studies program at UCSC. I ended up graduating in Computer and Information Science in 1982, and have lived here with my family ever since. We've been in this house since 1994. 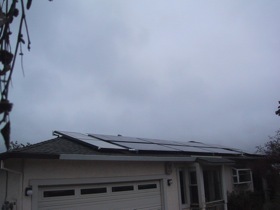 We installed the photovoltaic system in 1998, the second on-grid house in Santa Cruz County. We received the full $4.50/Watt incentive, but the early inverters required batteries, and this has led to some extra expenses with our system. We installed the drainback solar water heating a couple years ago, after the DIY batch system proved inadequate. 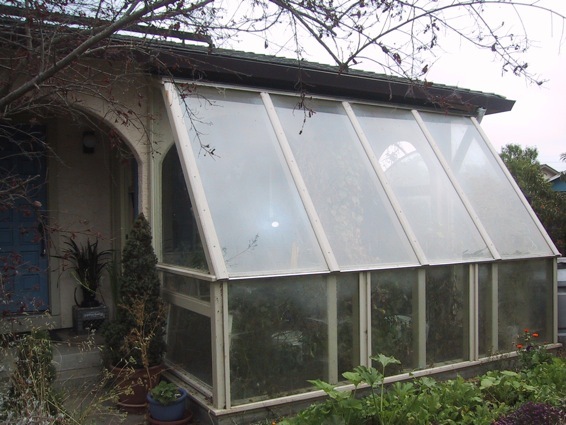 We've got 20 fruit trees, an attached greenhouse, annual vegetables, and lots of weeds. 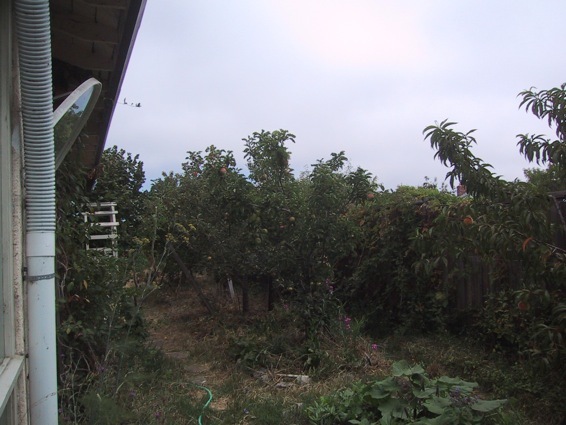 Peach, apples, filberts, and berries along the east side of the house. 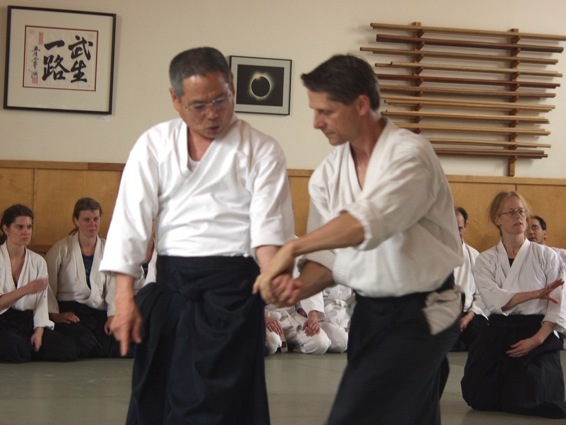 I started training in Aikido in 1987, in self-defense, as my wife was practicing Aikido and my son Taekwondo. 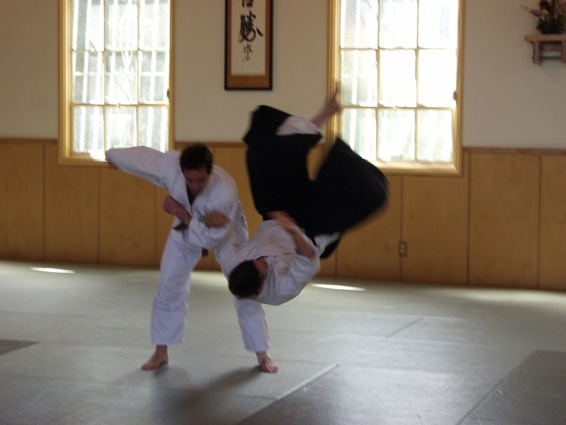 I continue to train, as I find it helps me maintain some balance in my life. I play some disc sports, though these days it has mostly shifted from ultimate to goaltimate. I get around Santa Cruz mostly by bicycle, from the beach to the mountains. When I can, I love to get away for hiking or backpacking. My Spanish is pretty good, though it has been a long time since I've been to Latin America or Spain. If we're going to build something along the U.S./Mexican border, why not a Friendship Solar Array, like my friend Ken suggests? Are we going to see photovoltaic combined cooling and power, using low temperature chillers? Are there any synergies in co-locating geothermal and solar thermal power plants? Can waste heat from solar thermal power plants be useful in desalination?